Look out for new job opportunities. It becomes relatively easier for you as well as your family if you do have some job opportunities before you quit. This not only reduces your tension but also your debt. This also helps in avoiding the possibility of your quitting your job on an impulse, for you will first thoroughly check with all your contacts for job prospects and then quit. Decide if your job has been affecting your health. If your job causes very high stress levels that are affecting you mental or physical health, then it is definitely the time to quit. Any money or status that you attain through your job is not worth it if you have to compromise on your health for it. For if, heaven forbid, a mishap happens, none of this acquired money or status will be of any use. Therefore, in such cases, quitting is the best solution. Reflect if you have any growth opportunities in the current job. When you have a boring job, dissatisfaction comes up easily. A job that gives you growth opportunities in terms of mental or physical skills is one you should be looking for. If there are no growth opportunities for you, you may as well quit the job. Think about your safety. If you are physically and psychologically unsafe in your current job, then quitting your job will be the best option for you. If someone is making your job unsafe, then take some action against the person, but if your job makes you feel unsafe, then quit. Consider your family’s opinion. Your family knows about your job details through and through. They always get to see you reaction after a day at your job and are a part of bearing its effect. Think about how your family life is affected because of your job. If your job is ruining whatever little time you have with your family after a day’s work, then quit your job. Examine your financial position. You must be aware of whether or not you can live without a source of income till you get a new job. You should also be sure about whether your salary is worth the effort you put into your job. 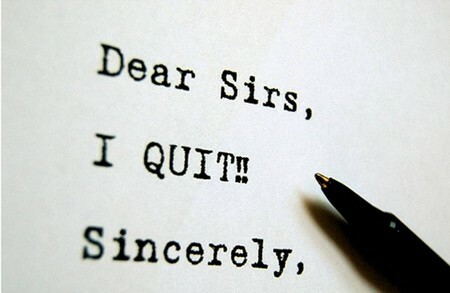 Think about all these before coming to any decision regarding quitting your job. Take into account all the other offers. After quitting a job, you will surely need a new one. When you look for other offers, make sure that those are better than what your current job is offering you. If the new offers are not good enough, you mat want to reconsider your decision about quitting. Quitting a job is a very difficult and hard decision, but these were some factors you may want to consider. Discussing the solution with family and friends helps, just like the new opportunities in hand do. There are loads of people who stay in the same job even though it makes them miserable; you don’t have to be one of them because options really exist. So, all the best and do well.